June. 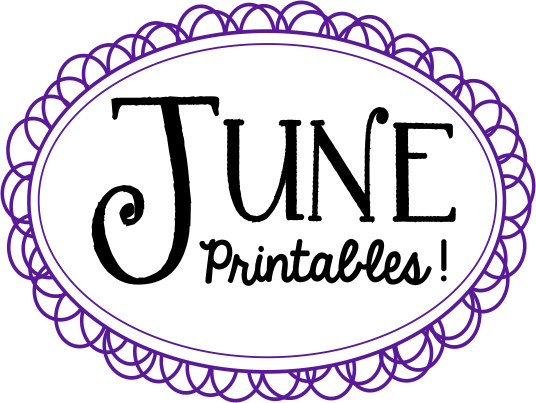 June I say…is here. Oh my goodness. For me that equals 110-120 degree temps in Phoenix, Arizona. You do everything you can to stay inside or be in water. And that is saying a lot for me since I don’t even like water. But enough about our heat woes let me get to the good stuff. Here are your June helpers. Download here or from Google Drive. I have to confess I had a day I slipped on my Pin God 1st. I was sad about it. I don’t even know what came over me but all of the sudden I found myself on Pinterest before my Bible reading. When I realized I verbally yelled “YIKES!” I think my kids thought there was a scorpion in the house. I quickly grabbed my Bible and headed in for His goodness. Whoopsie daisy! 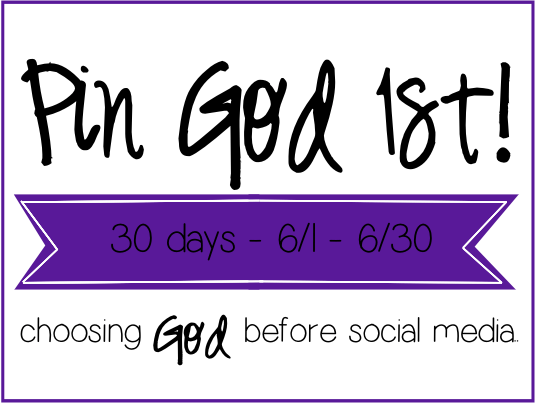 Pin God 1st is our opportunity to choose God over social media BEFORE we check updates, tweets, pins, or instagram we check in with God. 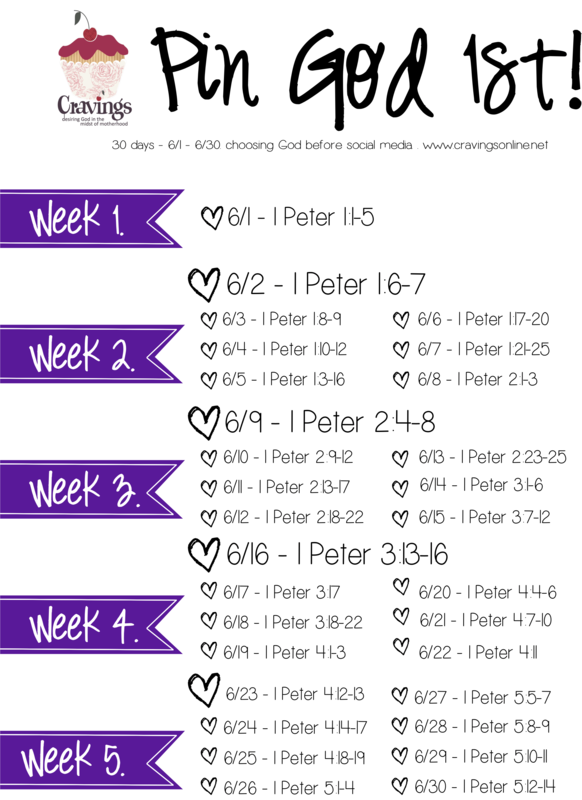 This month we are going to read 1 Peter. There are a lot of rich reminders in this book and I look forward to reading it with you. Some days we only read one verse because there is so much packed into the words. Get ready! !